Categorized as: Africa, Education, Grantee, Leadership, Our Partners, Poverty Alleviation, Stories, Youth & Tagged as: Asante Africa, Erna Grasz, Kenya, Legacy, Tanzania on September 27, 2014. Students in Asante Africa’s Leadership and Entrepreneurship Incubator (LEI) program are turning challenges into opportunities, using a pay-it-forward model to create a meaningful ripple effect in their communities. Guest post by Erna Grasz. I am frequently asked, “How do you know that what you are doing in East Africa is truly making a difference?” I respond with Mirella’s story. Mirella is 18 years old, lives in a rural African village, and recently realized her ability to envision and lead transformative community-building efforts. Provided the opportunity to exercise her leadership skills through the Leadership and Entrepreneurship Incubator (LEI) program, Mirella collaborated with her local church to develop a vegetable garden in the church compound. Beyond providing healthy, local food to community members, Mirella envisioned that money made from selling the harvest could be used to sustain the necessary supplies to maintain the garden. The end result: a sustainable source for healthy food in the community and the beginning of a young, African female’s entrepreneurial career. 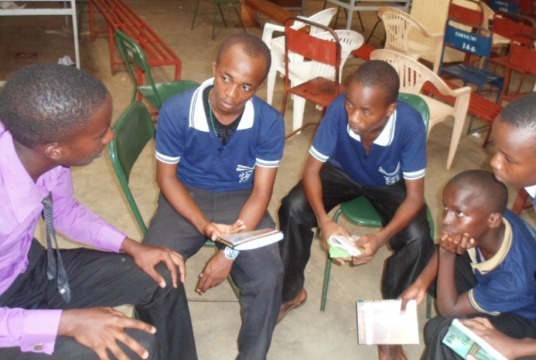 A group of students being trained by LEI Alumni. 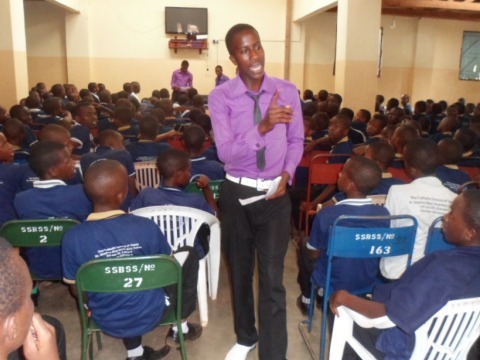 Why Turn Africa’s Most Vulnerable Youth into Leaders? Each year, more than 100 teens in Kenya and Tanzania participate in the Leadership and Entrepreneurship Incubator (LEI) program, an initiative of the Asante African Foundation, which provides vulnerable youth from deeply rural areas of East Africa with the opportunity to work with their peers across borders to develop job readiness and leadership skills, helping them to become successful leaders, entrepreneurs, and global citizens. An important concept integrated throughout the program, paying it forward awakens the realization in youth that they have skills, talents, and knowledge that others may lack. It inspires them to take action in their own communities and share their gifts to create change for the better. Since 2010, over 450 students have experienced this intensive training, focusing on job-readiness, entrepreneurism, and academic enrichment. Through the program we prepare these young leaders for future jobs, provide coaching on how to create their own business, and for those academically qualified, assist with securing university scholarships. This past summer I shadowed graduates of the LEI program in their home villages, seeing firsthand the positive change they are creating in their communities. The young leaders’ parents, swelling with pride, were taken aback as these young community members transform their personal passions into community-wide projects, clubs, and small businesses. Not only parents, but other individuals connected with the LEI graduates approached me to express their enthusiasm for the young leaders. A teacher of Anderson, an LEI graduate who now teaches English debate skills, proudly boasts that she receives some credit for Anderson’s positive leadership. Leon, an LEI alumnus, gives back to his community. Our most conservative calculations indicate that LEI participants have touched the lives of at least 10 times the number of their community members. 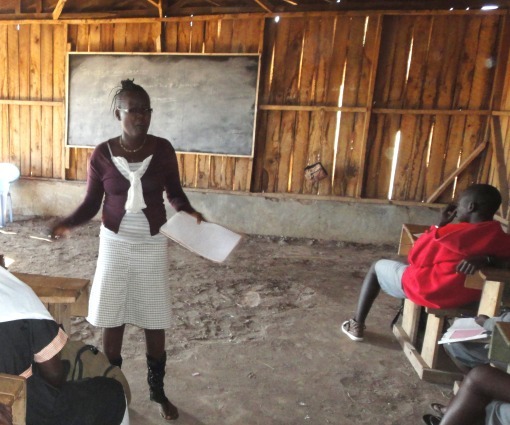 LEI graduates fundamentally create a ripple effect as they become leaders beyond the borders of their homes, using knowledge and training they received from Asante Africa to benefit others. As students move through the changing roles contingent to the program, they develop drive and confidence, propelling them to apply their skills to find solutions to challenges in their home communities. To illustrate more clearly how we’re making a difference, I want to give you a further peek inside to the lives of more amazing LEI alumni. They are challenged annually to work on independent or team projects of their own creation, projects that demonstrate the intense desire young people have to better their environment. The following profiles chronicle young adults who have transformed, over the course of their LEI involvement, into youth leaders, group organizers, and expressing their opinions and ideas. Anderson conducts Public Debate training for 6th graders to help them gain confidence in expressing their opinions and ideas. Leon meets with a group of students. Emily teaching a rural class about dream mapping and puberty. Caroline Sunte (Age 19, Kenya), a young Maasai Woman, was inspired by LEI to capitalize on her entrepreneurial potential. “I have been successfully running a small-scale orange farm since I’ve returned from the LEI. Like most new entrepreneurs, I experienced trouble when I initially started my business. We had to buy seedlings and learn how to grow the fruit properly. However, with time and problem solving, I was able to do better and make a profitable business. 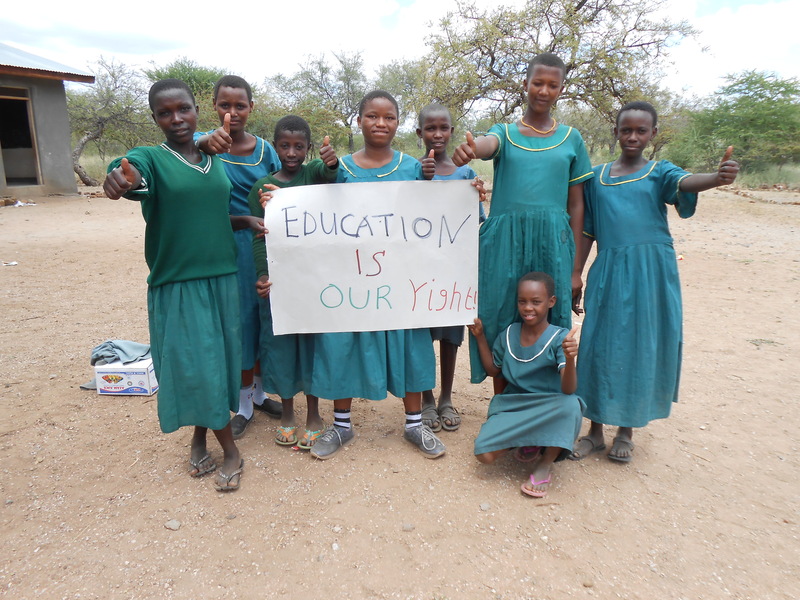 Angaza Foundation (‘to enlighten’), works in Narok and Isiolo Counties in Kenya to spread knowledge where gaps exist. The foundation’s areas of focus range from self defense to reproductive health to dream mapping. Angaza Foundation is a prime example of a strong organization that derived from a local community need and led by young people with the confidence and skills to think strategically about how to best organize and meet those needs. Carolyne speaking to a class about entrepreneurship. 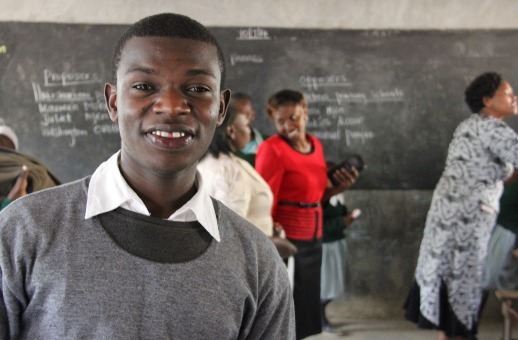 Lepilali Ngoilenya (Age 20, Tanzania), created a group called Champions of Leadership- CHALETA. Lepilali and a team of fellow alumni led an initiative to transfer what they’d learned at LEI to rural communities. 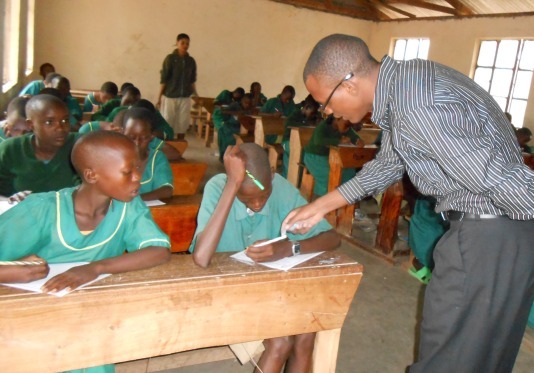 So far, they have convinced the heads of six primary schools to allow them to train 50 students in each location. His team teaches exam preparation, hazards of FGM, resilence, and how learning is a journey, requiring many steps along the way. Lepilaili was just nominated as a member of All Africa Youth Ambassadors for his wisdom and advocacy. 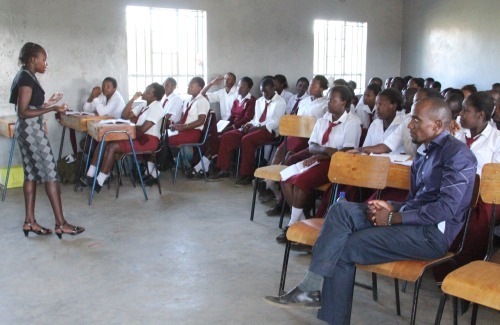 Lepilali trains students on issues ranging from resilience to exam prep. As we watch these youth grow into the much-needed agents of change, it is clear that paying it forward has become a significant part to our bigger strategy. Before our eyes, they are becoming the community leaders, village elders and the visionaries needed to create lasting positive change. On behalf of these young leaders, and entrepreneurs, proud teachers, and parents, I can say with confidence that Asante Africa is having significant impact as demonstrated by the hundreds of youth who have found their voices, made their plans, and are now inspiring others to be part of a community solution. But this is just the beginning. I cannot wait to shadow these same young people five years from now when they are starting families, starting companies, running companies, and further impacting their communities and beyond. All photography provided by Asante Africa. LEARN more about Asante Africa Foundation here. To read more stories about Asante Africa’s LEI model, click here. DONATE to Asante Africa’s mission by clicking here. Supporting data collected through impact interviews with teachers, community elders, and students.